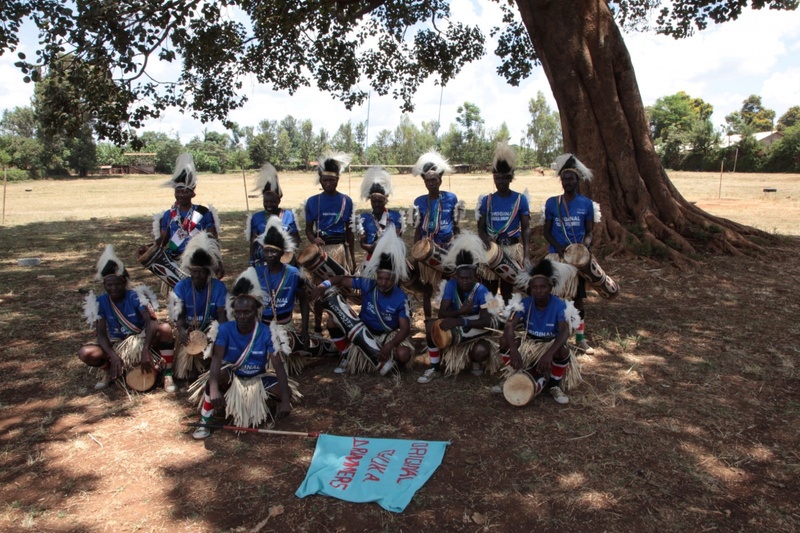 Original Chukka Drummers, led by Eustace Mjuki Bundi. They are 30 males who all play drums except for their banner waver. They were formed in 1930 and have spawned so many imitations that they had to add the word ‘original’ to their name. They are Ameru, of Tharakanithi County. The group plays on all occasions, during harvests, births, weddings, marriages. The play the Mwinjira (Drums) and Biringi (Whistle).